How to Reach Rohini East Metro Station for Khushi Finance in Northex Mall, Rohini Sector 9? How to Reach Rohini East Metro Station for Khushi Finance located in Northex Mall, Rohini Sector 9? The Rohini East Metro Station is located on the Red Line of the Delhi Metro, catering to the Pitampura area of Delhi. If you are coming from Dlishad Garden or Kashmere Gate then catch Red Line Metro. If you are coming from Rajiv Chowk or New Delhi Metro station then catch yellow line metro station for Kashmere Gate Metro station and change there for Rohini East Metro Station. Catch Red Line Metro from there. 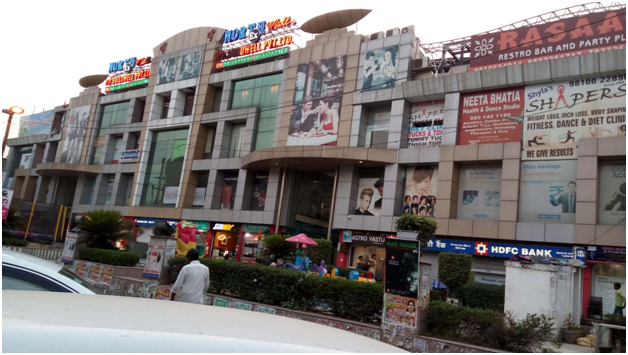 After Reach Rohini East Metro Station you can catch E- Rickshaw or Rickshaw for Northex Mall, Rohini Sec- 9. Distance is 1 km from there. It takes 5 to 6 minutes from E- Rickshaw & if you want to come by walk it take 10 to 12 minutes.